When you’re running an outbound sales call centre, keeping an eagle eye on your operating costs is critical. With this in mind, many think it’s prudent to purchase lists and they work hard to squeeze every last drop of potential sales out of them, even if means ringing some numbers five or more times. But, the problem with that is, if you’re having to call that often, it’s likely those calls have a low chance of connecting – let alone converting. And in the meantime, they’re squandering the most expensive resource for any outbound sales team – people. Chances are, any list that you purchase is going to have a decent amount of disconnected phone numbers, and a significant number of people with caller ID, particularly as people continue to exchange landlines for mobiles. And when the customer suspects it’s a telesales call (perhaps it’s an out of state number, or one they simply don’t recognise), they’re not as likely to answer the phone. What this translates to is valuable staff sitting and waiting for a call to connect, even when you’re using automated dialers. So, let’s take a look at a few different scenarios, so you can just what an impact this has on your outbound sales costs. If your dialer is being used optimally, your agents could still be waiting one to two minutes between calls – enough time to get distracted or lose momentum – potentially keeping them distracted from making the best possible outbound sales pitch. Perhaps you’re thinking, “One to two minutes? That’s all? That’s not too bad.” Except those minutes add up, and in the grand scheme of things, can negatively affect your bottom line. If your outbound sales team are making 80 calls a day, that’s up to 2.6 hours of paid waiting a day! If you pay your staff $25 an hour, that’s $66 a day. Again, not too bad? I guess it could be worse, until you factor in that cost across every staff member you have on board making calls. For instance, a team of 10 will be waiting 26 hours per day which over a 48 week year adds up to 6,240 hours and $158,000 a year in unproductive time. Now, that really puts it in prospective, doesn’t it? If you are using an older list, those same staff staff can be waiting four or five minutes between calls. At the same rate of 80 calls per day, that’s up to six hours of waiting a day. At $25 an hour over 48 weeks, you’re looking at spending $399,600 a year in unproductive time. Now how many new lists or extra staff members could you afford for that? But what if you can reduce waiting times to just 10 seconds between calls? At 80 calls per day, that’s just 13 minutes of waiting per agent every day. And with that same 10 person call centre you’d be spending only $13,200 a year in unproductive time – a massive cost improvement. Consider also that with this scenario, your call centre could either be making more outbound sales calls with less staff, or making more than 80 calls per day, increasing your call centre’s profitability. 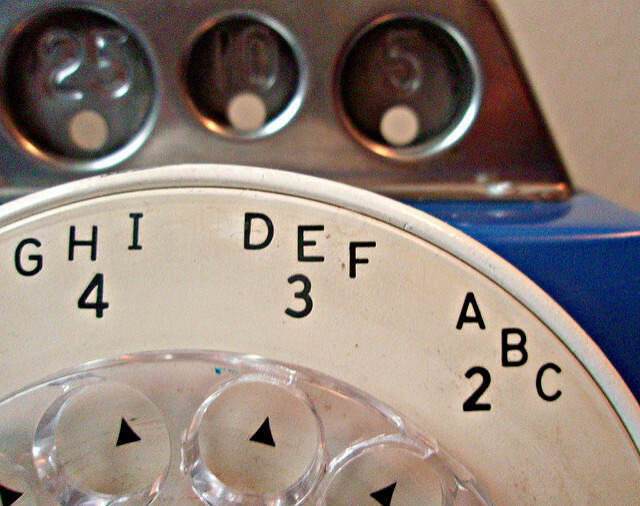 Learn to use your dialer effectively to cut down on the time spent waiting between calls. This could mean dialling multiple numbers at once and routing to available agents, or rotating through lists often. Closely monitor the performance of your lists, and dump them whenever they start to show fatigue. When wait times go up because people aren’t answering or the numbers are disconnected, you’re not going to convert them anyway, so stop wasting time and money. Keep a close eye on your waiting times, because they can quickly add up over a year to significant losses in productivity and labour costs. Clean your lists of useless numbers before you call them using a lead cleanser solution, And instead of milking your lists for all you think they’ve got, it’s better to cut your losses when the list loses freshness and move on to another one. Yes, you spent money on the list, but you stand to lose more money by hanging onto that list too long. Happy, motivated staff have more to do with outbound sales profitability than you might think. To find out more about the psychology of a high performing call centre, download our free guide today.